2x Pack Panasonic DMC-FH25V Battery - Replaces Panasonic DMW-BCK7 Digital Camera Batteries (3.7V, 680mAh, Lithium-Ion, Lifetime Warranty). Replacement Panasonic DMC-FH25V Battery. 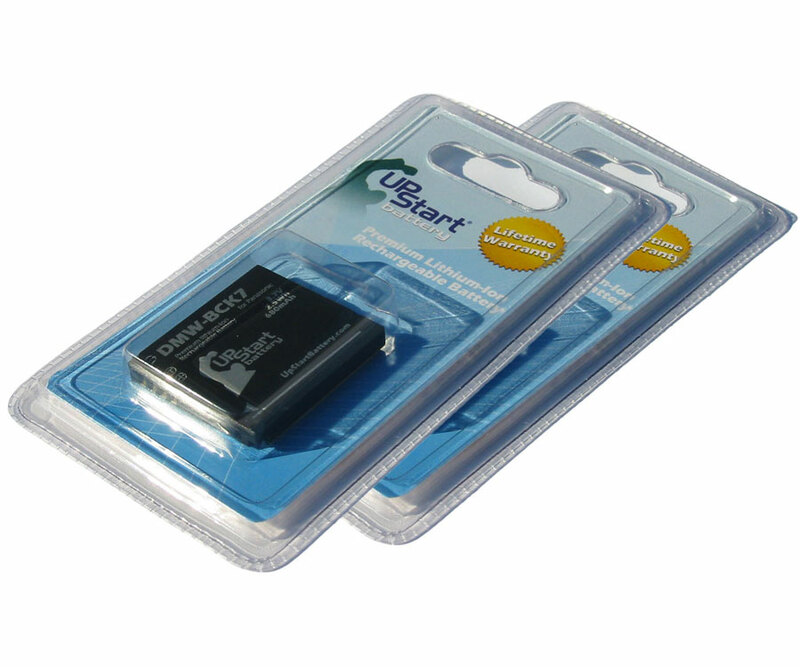 Replacement for Panasonic DMW-BCK7 Digital Camera Batteries. Quantity: 2, Lifetime Warranty. Capacity: 680mAh, Upstart Battery Brand. On Sale for a Limited Time!. Please note: This is an UpStart Battery brand replacement part, not an OEM product. This product is not affiliated with any OEM brands and is not covered under any warranties offered by the original manufacturers. Any warranties for this product are offered solely by Upstart Battery. All mentions of brand names or model descriptions are made strictly to illustrate compatibility. All brand names and logos are registered trademarks of their respective owners.